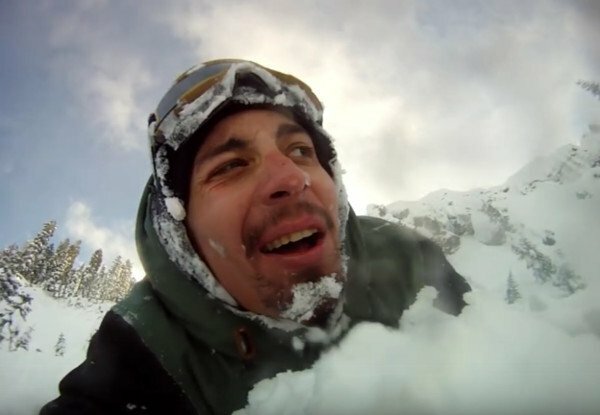 Officials for a popular Tahoe-area ski resort said it would be pressing charges against a snowboarder who triggered an avalanche in an out-of-bounds area while another skier remains missing. The two incidents — occurring days apart on Jan 15 and 16 at Sugar Bowl Resort in Lake Tahoe, California — were said to not be related. However, both incidents show just how dangerous skiing in out-of-bounds area can be with the threat of avalanche. An extensive search for ski instructor Carson May, 23, was called off over the weekend after rescue crews failed to locate the young man. The area where he is believed to have been caught in an avalanche was identified and crews with upwards of 75 people and a helicopter conducted a grid search with no luck. according to the Sacramento Bee. May, who is a ski instructor, reportedly enjoyed cutting slightly out of bounds through the tree line and that’s what authorities believe he may have been doing when he fell victim to an avalanche. In another incident at Sugar Bowl Friday Jan 16, a snowboarder venturing out-of-bounds when he triggered an avalanche. The event was caught on video and posted to Youtube recently, which caught the attention of ski resort officials who said they would be pressing charges against Christian Mares. But Mares told a reporter the area was not clearly marked and that he told the ski patrol about the incident shortly after it happened.